Visit UPTU official website and click on "Apply for UPTU 2018 Examination" link. Enter personal details, educational details, communication details, create password etc. Click on "Final submit" button. Upload scanned copy of photograph, signature and left thumb impression. Pay the application fee through net banking, debit card and credit card. Take a printout of acknowledgement page for future reference. Brief: The UPTU application form is the important element for the examination without which a candidate cannot avail the admit card which is the second important element to appear in the examination. Mode: The UPSEE/AKTU/UPTU application form can be submitted online only through (UPTU/AKTU) UPSEE official website i.e.upsee.nic.in login. The UPTU form 2019 can be filled through the Internet from any place of convenience. Date: The online UPSEE/AKTU/UPTU application Form #yearwill be available from IST 11:00 am 23rd January 2019 until IST 05:00 pm 25th March 2019. Guidance: The (UPTU/AKTU) UPSEE 2019 application form is self-explanatory. For assistance in case of any difficulty in filling up uptu online form 2018, the candidate may contact Toll-Free Number 1800-180-0161 or send an email at helpdeskupsee17@gmail.com with the subject line “Seeking Help”. Registration Fee: The Entrance Examination Fee for (UPTU/AKTU) UPSEE 2019 is INR 1300/- for Male/Transgender candidates belonging to General & OBC category and INR 650/- for SC/ST candidates and Female or Physically Handicapped candidates of all categories. Certificates: Candidates claiming the advantage of reserved categories, subcategories, rural weightage, etc, must be required to indicate on the (UPTU/AKTU) UPSEE 2019 Application Form and are not required to send any certificate to the University. These original certificates will have to be produced at the time of (UPTU/AKTU) UPSEE 2019 Documents Verification along with one self-attested copy of each one of them. Aadhaar Enrollment: As per the decision was taken by Central Admission Board (CAB), the candidates who do not have the Aadhaar number can also fill the (UPTU/AKTU) UPSEE 2019 Application Form by mentioning alternative identification number such as Ration Card, Passport, Bank Account Number or other valid government ID (such as driving license, voter ID, etc). Last date for Submission of (UPTU/AKTU) UPSEE 2019 Application Form without late fee. Last date for Submission of (UPTU/AKTU) UPSEE 2019 Application Form with a late fee. Name, Mention complete name as in the High School certificates. Date of Birth: The format of mentioning the date has to be dd/mm/yy and it is to be mentioned as in High School certificates. Address: Mention complete address, with the PIN Code. Opt for Uttar Pradesh option – If your father or mother is from Uttar Pradesh. Opt for Other than Uttar Pradesh option – If none of the parents is from U.P. Choose GDDA option – If the parent were defence personnel settled in UP / Killed in Action / etc. The candidates have to pay the UPSEE/AKTU/UPTU application fee which is the same as last year. Check the payment details for UPSEE 2019 Online UPTU Application Form from the table below. Following are the key elements of the (UPTU/AKTU) UPSEE 2019 Application Form which will appear in the online application (not necessarily in the order). Name of the Candidate: Candidates need to enter their FULL NAME (in English Capital Letters) as recorded in your High School or equivalent examination certificate. Father’s Name: Candidates need to enter their Father's FULL NAME (in English Capital Letters). Mother’s Name: Candidates need to enter their Mother's FULL NAME (in English Capital Letters). Nationality: Candidates who are born in India need to choose “INDIAN” otherwise choose “OTHERS”. Gender: Candidates should select Male or Female or Third Gender (Transgender) whichever is applicable. Parent's Domicile: Candidates need to choose “Uttar Pradesh” if at least one of your parents (Father/Mother) is domicile of Uttar Pradesh. Choose “Other than Uttar Pradesh” if none of your parents is domicile of Uttar Pradesh. Address for Communication: Candidates need to enter their complete mailing address with pin code in CAPITAL LETTERS for postal communication. Phone Number: Candidates need to enter their personal mobile phone number and this mobile number will be used for communication with you during the examination/admission process. E-Mail address: Candidates need to enter their valid E-Mail address. This mail address will be used for communication with you during the examination/admission process. Examination: Candidates need to choose appropriate option(s) whether you have passed or are appearing in Intermediate (10+2)/ Diploma in Engg/Diploma in Pharmacy/ Diploma in Agriculture Engg/Diploma in Architecture/Graduate. Qualifying Examination Passed/Appearing from college situated in: Candidates need to choose “Uttar Pradesh” if they have passed or are appearing in qualifying examination form Uttar Pradesh otherwise choose “Other than Uttar Pradesh”. Year of Passing/Appearing: Candidates need to enter their qualifying examination year of passing or appearing whichever is applicable. Subjects in Qualifying Examination: Candidates need to choose the subject group in which they have passed/are appearing in the Qualifying Examination. Choice of the City of Centre for Entrance Examination in order of preference: Candidates can select three distinct choices for an exam centre from where they wish to appear in (UPTU/AKTU) UPSEE 2019 exam. Category: Candidates need to choose applicable category whether you are a candidate of UPGE, UPSC, UPST, UPBC, UPGD, GDSC, GDST, GDBC, GDDA, OSGE. Sub-Category: Candidates need to choose suitable subcategory depending upon whether you belong to subcategory UPFF, UPAF or UPHC otherwise choose “Not Applicable” if you do not belong to any of these sub-categories. Rural Weightage Claimed: Candidates need to choose “YES” if they are eligible for and want to claim rural Weightage otherwise choose “NO”. Seeking Admission: Candidates need to choose the appropriate option the First Year for UG or 2nd Year (Lateral Entry) or First Year for PG. Please note that this choice is linked with your qualification and subjects in the qualifying examination. Course(s) applied for: Candidates need to choose the appropriate course name(s) to which you are seeking admission. Papers in which you wish to appear in (UPTU/AKTU) UPSEE 2019: Candidates need to choose appropriate paper(s) in which they wish to appear in (UPTU/AKTU) UPSEE 2019. Photograph Format: A clear scanned image of recent color passport size photograph (3.5cm X 4.5cm) in JPEG Format with a maximum size of 100 KB. The photograph must be front facing to the camera in a manner that full face shows. The background should be either white or off-white and uncluttered. 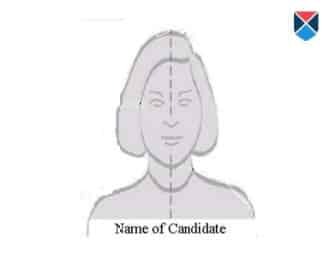 The photograph should be the color with the name of the candidate printed on it as shown in the sketch below. It should be without cap or goggles. Spectacles are allowed. Candidates with unclear photograph are liable to be rejected. Candidates may keep 6-8 identical photographs in reserve for use at the time of (UPTU/AKTU) UPSEE 2019 entrance examination. Signature Format: A clear scanned image of candidates signature (3.5cm X 1.5cm) in JPEG format with a minimum size of 30 KB need to be uploaded in (UPTU/AKTU) UPSEE 2019 application form. Liable: (UPTU/AKTU) UPSEE 2019 Application Form having blurred photographs are liable to be rejected. Declaration: Read the declaration and accept the declaration by ticking the checkbox named “I agree” provided. Unless you accept the declaration by ticking the given checkbox, you will not be able to submit the (UPTU/AKTU) UPSEE 2019 application form. Mode of Payment: Candidates need to choose the appropriate mode (Credit Card / Debit Card / Net Banking) of making payment of the prescribed examination fee and make the payment. Please note that in addition to the (UPTU/AKTU) UPSEE 2019 examination fee, the bank may charge additional amount as service charge and taxes as applicable to the transaction. Fee Amount in Rupees: (UPTU/AKTU) UPSEE 2019 Examination fee is Rs 1300/- for Male/ Transgender candidates of General/OBC Category and Rs 650/- for SC/ST candidates and female candidates of all categories. UPGE: Candidates who have completed the qualifying examination from a college located in the State of Uttar Pradesh and who do not claim for any reserved category are eligible for admission to all the (UPTU/AKTU) UPSEE 2019 courses at all the institutions against available General (OPEN) seats. UPSE/UPST/UPBC: Candidates who have passed the qualifying examination from an institution located in State of Uttar Pradesh and are domicile of Uttar Pradesh and belong to Schedule Caste (SC) / Schedule Tribe (ST) / Other Backward Classes are eligible for admission against available (UPTU/AKTU) UPSEE 2019 reserved seats of their category. 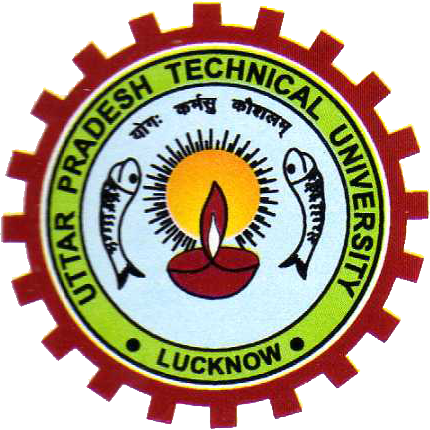 UPGD: Candidates who have passed the qualifying examination from an institution located outside Uttar Pradesh and whose parents are domicile of Uttar Pradesh and who have not claimed for any reserved category are also eligible for admission to (UPTU/AKTU) UPSEE 2019 courses offered at all institutions under General (OPEN) category. GDSC/GDST/GDBC: Candidates who have passed the qualifying examination from an institution located outside Uttar Pradesh and whose parents are domicile of Uttar Pradesh and who belong to Scheduled Caste (SC) / ScheduleTribe of (ST) / Other Backward Classes (OBC) are also eligible for admission against (UPTU/AKTU) UPSEE 2019 reserved seats of their category. Defence personnel settled in Uttar Pradesh on the date of Entrance Examination after retirement / being disabled in action or Defence personnel killed in action and the dependents settled in Uttar Pradesh on the date of (UPTU/AKTU) UPSEE 2019 Entrance Examination. Defence personnel who are not domicile of Uttar Pradesh but are posted in Uttar Pradesh on the date of (UPTU/AKTU) UPSEE 2019 Entrance Examination. OSGE: Candidates who have passed the qualifying examination from an institution located outside Uttar Pradesh and whose parents are NOT domicile of Uttar Pradesh. (a) Dependents of Freedom Fighters from Uttar Pradesh. (b) Sons / Daughters of defence personnel of Uttar Pradesh either retired (superannuated) or killed/disabled in action or defence personnel posted in Uttar Pradesh / Defence personnel domicile of Uttar Pradesh & posted outside Uttar Pradesh. (c) Handicapped / Disabled of Uttar Pradesh. (d) Girls of Uttar Pradesh. Note: The candidates can be given only one type of (UPTU/AKTU) UPSEE 2019 horizontal reservation out of UPFF/UPAF/UPHC. However, the girl candidates will be able to claim for anyone of UPFF/UPAF/UPHC along with UPGL. Proof: Category/sub-category must be supported by the relevant certificates as per proforma of (UPTU/AKTU) UPSEE 2019 and to be produced at the time of counselling failing which the candidates shall be treated in General Category. Horizontal Reservation: The advantage of horizontal reservation in Armed force sub-category is available to sons/daughters of ‘defence personnel of Uttar Pradesh either retired (Superannuated) or killed/disabled in action and the dependents settled in Uttar Pradesh and the defence personnel posted in Uttar Pradesh on the date of (UPTU/AKTU) UPSEE 2019 Entrance Examination. How To Pay The UPSEE/AKTU/UPTU Application Form 2019 Fee? Payment mode: Candidates can choose the mode of payment between Debit Card/ Credit Card and Net Banking to pay the UPSEE/AKTU/UPTU application form 2019 fee. Credit card: Candidates need to enter their credit card number and Pin number while paying UPSEE/AKTU/UPTU application form 2019 exam fee via credit card. Later candidate needs to submit their OTP number to finalize the payment. Debit Card: Candidates need to enter their Debit card number, pin related to the card, the lifetime of the card, and CVV available behind the card. Later candidate needs to submit their OTP number to finalize the UPSEE/AKTU/UPTU application form 2019 fee payment. Net banking: Candidates need to enter their bank account number and One Time Password while doing (UPTU/AKTU) UPSEE 2019 exam fee payment via Net banking and Click on ‘Pay Now’ option. Failed Transaction: In case the transaction is failed for some reason then you will not be able to download the “Confirmation Page”. If you are unable to download the “Confirmation page” and your account is debited it means that transaction could not be updated at NIC server of (UPTU/AKTU) UPSEE 2019. In case you do not succeed to download the “Confirmation page” it indicates that your transaction has failed and you are required to make the Payment of (UPTU/AKTU) UPSEE 2019 Examination Fee again and download the confirmation page. Mention the following in your mail: Application Number, Transaction Number, and Date of Birth. At the time of filling in details in the UPSEE/AKTU/UPSEE Application Form 2019, the candidates should keep the following list of documents ready. What is the application fee for UPTU 2018 examination? I'm not getting the link to fill registration form for B.Tech 2018, anywhere on the website. I can see link to fill in UG programme wherein it is asking for various options which includes Diploma In Engg., which is not something I'm looking for. Can you tell me where's the option given? Visit the official website. For more information, Click here. what is the first and last date for applying the form of UPTU. and JEE MAIINS..? Date of online application of UPSEE – 2017? What is the last date of online application of UPSEE – 2017? 28th Feb 2017 is the last date of submitting the online application of UPSEE 2017. The portal will be open until 5 PM on 28th Feb 2017. What is the UPSEE 2017 application form fee amount for the General category students? The UPSEE 2017 application fees for the general category candidates is Rs. 1500. What is the application procedure for the UPSEE exam? The university issues online application forms which has to be filled up and submitted within the stipulated time. The application fees has to be paid through online mode only. A transaction number will be generated after successful payment and has to kept for future reference. The confirmation page will be generated and the applicants are requested to keep two copies of the confirmation page for future use. Will the UPSEE application form be available online only? Yes, the UPSEE application form will be available online only. How can I know whether the Online Payment of Application Fee has been successful? On successful payment, the candidate will be guided back to the home page of Application Portal wherein you will find the ‘Payment’ tab at the top turned green and you can take printout of the application. A transaction number will be generated after successful payment of application form to UPSEE and has to kept for future reference. The confirmation page will be generated and the applicants are requested to keep 2 print out copies of the confirmation page for future use.